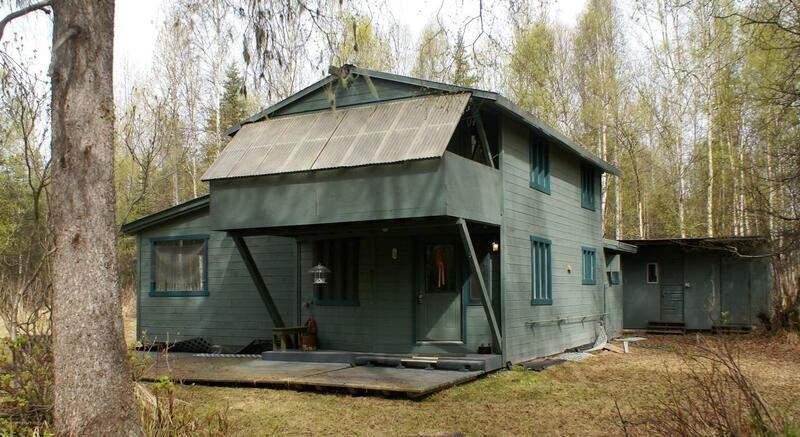 Enjoy living in Trapper Creek on 5 acres +/- in this home. 2 bd/1ba with large living room and kitchen. Upstairs is 2nd bedroom that goes out to a covered deck plus office. Guest cabin and several outbuildings for storage. There is a conex attached to covered carport. Economical wood heat with propane backup and instant hot water system. Nice large yard in beautiful setting.